"Better to do something imperfectly than to do nothing flawlessely." When you're looking to get started with investing in rental property, there are so many different paths that you can take to acquiring that first property. It's easy to get distracted in has a lot of content, books, podcasts and TV shows related to teaching newbie investors the ins and outs. We've learned through our own investing experience, that there are 6 major pillars that you need to work through when looking to acquire those initial properties. 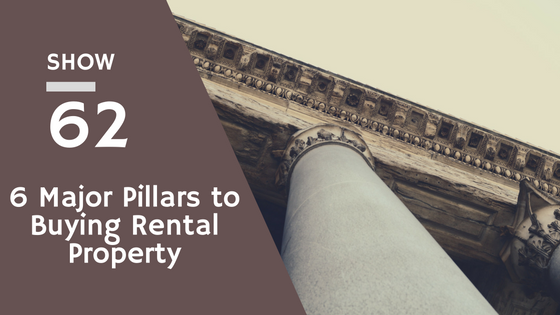 Each of these pillars is pivotal to your success in finding a good property, at a good price in a good community.